A popular drive-through safari park in England is under fire after reports emerged that a family of lions has been destroyed to combat problems stemming from improper breeding. In an interview with the Mail Online, a whistleblower from Longleat Safari and Adventure Park detailed an incident in which a mother lioness and her four cubs were euthanized without a clear reasoning as to why. Initially, the park officials responded by saying that an increase in their lion numbers required that the animals be put down. 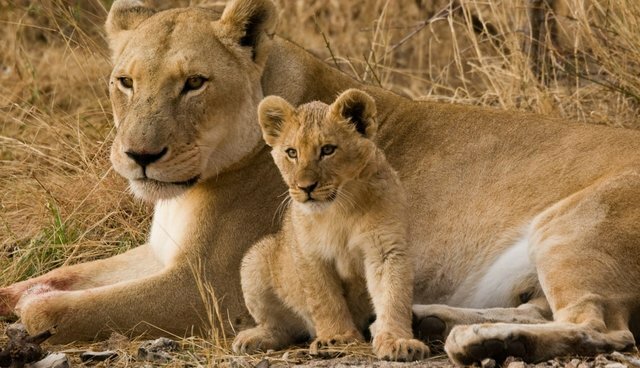 "There has been a large increase in pregnancies among the lions, resulting in a 40 percent increase in population," said a spokesperson from the park. "This has resulted in excessive violent behavior, putting 21 of them at risk." Longleat has since taken to Facebook to offer a more detailed explanation. According to the park, when the lioness arrived there as an 18-month-old, she exhibited signs of an unknown neurological disorder. After an unplanned mating, her four cubs were found to have a similar condition which made them act aggressively. Staff then reviewed her genetic lineage and discovered "relatively high levels of inbreeding" as the likely cause. As a result, the lioness and her cubs were deemed too dangerous to remain among the park's other lions. "After considering the pressures in the group, due to the recent increase in pregnancies, and the developmental disorders present in the cubs it was reluctantly decided that euthanasia was the responsible option for these individuals." Critics have since questioned Longleat for allowing the the lioness to become pregnant despite her health problems, or for not knowing ahead of time that they were likely related to improper breeding in her past. This incident, along with along with the euthanization of a healthy, young giraffe at the Copenhagen Zoo over the weekend, are raising concerns over whether animals in captivity should be able to breed given that the genetic stock is inherently limited.